40-something years ago, I learned how to play Hearts and Spades. I do not remember the specifics to the card games, and I did not want to spend the time and energy searching for what is on the web about them. What I do remember, however, is that they involved playing a card that triumphed over the others played during a hand/round. Hence, the shortened name of trump. I do not know if the last name of the current American president originated from a card game, but I think it would be rather ironic. For he seems very fond of playing games. No, President Trump is not the only one fond of playing games. For there are trump cards being played by every special interest group. A lot has been heard recently about the black community playing their race card whenever they meet some resistance to changing things in their favor, but the brown, red and even white communities have their own race cards. Only the Asian community in America seems fairly content to suffer in relative silence while working really hard at moving into position to live a much better life after the others have exhausted all of their resources fighting each other. No, it is not just in the matters of race that there is a trump card. American women have their gender equality card. The American LGBT community has their gender identity card. American conservatives play their Second Amendment, fiscal responsibility and Christian nation cards while the American liberals/progressives counter with their evolving constitution, women's rights and separation of church and state cards. Ah, but do not they all get lost in the political shuffle? Take for example the current political issue over professional football (NFL) players refusing to stand during the playing of the National Anthem before the start of a game. For just how many Americans still remember that the protest started out with the San Francisco 49ers' quarterback at the time sitting on the sideline over alleged police brutality of black people? Are not the vast majority of pundits now talking about it being a matter of having the freedom to disrespect our traditional values or not? Quite frankly, I do not have a problem with the players kneeling instead of standing at attention. For kneeling has always been a sign of deference to a higher power or surrender during a time of conflict. Does the players now kneeling mean that they have surrendered their position? I would have a problem with the players milling about on the sideline during the playing of the National Anthem, but I recognize the fact that Americans are supposed to have the freedom to do such ignoble things. Nonetheless, just because you have the legal right to do something does not mean that you should. Alas, I have I come to truly loathe just how much of “me” our Heavenly Father has allowed to remain intact after He started truly changing me. For I can clearly see that most of our fights over political issues are simply setting the stage for the antichirst to take power over this entire world someday much sooner than later, which is in accordance unto our Heavenly Father's will, but these issues are still upsetting to me. Does this mean that I do not really believe that He knows what He is doing? Be assured that it most certainly does not, but it bothers me even more that I still want to fix things that the Lord God Almighty has broken to accomplish His purposes. There has been an alleged (sometimes obvious) case of excessive force being employed by law enforcement officers making the national news on a regular basis lately. After attending the Mayweather/McGregor prize fight in Las Vegas, Nevada on August 26th, [Michael Bennett], a star NFL (Seattle Seahawks) defensive end, found himself with a knee in his back and a pistol pointed at his head. Seriously, I have been made well aware of not having the natural temperament to be a law enforcement officer. For I would want to put a hole in someone just for giving me grief over enforcing a minor infraction while letting a person get away with just about anything up to murder if they were nice in their dealings with me. No, neither way is acceptable. Maybe not. For fearful constituents demand greater protective measures while oppression breeds rebellion that adds all the more to the fear. It is literally the proverbial vicious circle. Be assured that it is really not any worse now than it has been down through the ages. For it is just that with more and more always carrying cell phones with the capability to record videos that can be instantly broadcast to billions, less and less goes unnoticed. Nonetheless, law enforcement has brought much of their trouble upon themselves. For instead of seeking to treat everyone they meet on their beat as those they have sworn to protect and serve until a situation warrants a different approach, far too many officers assume that far too many are guilty (or at least probable perpetrators) of some criminal activity. Yes, race has proven to be a factor. Come on now, would you not be much more likely to feed the police information if you were on a friendly basis with at least the officers you regularly see in your area, which could make their job much, much easier? Why is this so hard for law enforcement to understand and cultivate? Speaking of disrespect, it now appears to be standard procedure for officers to always aim for center-mass when pulling the trigger of their firearm, which is likely to result in the death of a suspect. Should not anyone authorized to carry a firearm be skilled enough to simply wound someone when no other means can be used to take them into custody? Yes, there are situations where a wounded suspect would be even more of a danger to innocent bystanders, but there have been many killed by officers who did not need to die. On the other hand, I can see where killing a suspect would save the authorities a lot of money. For there would not be any expenses for hospitalization incurred—not to mention no trial and incarceration expenses. Yes, defending against a wrongful death lawsuit has to be quite prohibitive, but bullies tend to not worry about such. Who else would want to wear a badge if things keep going as they have been? Speaking of bullies, they are generally cowards by nature, and how cowardly is it to shot first at someone just thought to be armed? This has been happening far too often. As with everything else, it is all in accordance unto our Heavenly Father's will, but just because He has allowed things to go bad does not mean that they have to stay that way. In many cases, bad situations are meant to encourage us to want to get closer to Him. Of course, I could be woefully deceived. What say you? During my formative years, I was taught in a very conservative Southern Baptist community that Christ Jesus entrusted His church to conduct His affairs in this world until His glorified return, and that its members were to give/tithe at least 10% of their resources (mainly in the form of money they had been led to believe they had earned) to fund this work. The doctrine is called Stewardship, and I now know that it is incorrect in a number of ways. I will be focusing upon only a couple of them in this piece, though. First of all, Christ Jesus is not absent from this world. Yes, there will come a day when He will visibly return in all of His most awesome glory to openly rule over this entire world, but in the meantime, He is just as much everywhere, all of the time, in Spiritual form as He ever has been. Secondly, Christ Jesus has always known everything that there will ever be to know about everyone since long before He created this world. Subsequently, there is no entrusting anyone with anything. That is, at least not in the way we naturally think. Yes, He wants His chosen servants to help the lost and confused to get to really know Him by being shining reflections of His goodness and mercy against the darkness of Spiritual ignorance, but that is a far cry from calling Christians to truly seek and to save the lost, which is what far too many have been lad to believe. Alas, even if it was true that believers are called to be Christ Jesus' hands and feet in His absence, why are so many conservative Protestants screaming the loudest about removing the illegal aliens from America and closing the borders to all but a very select few new immigrants? How can they seriously tell anyone about the love of Christ Jesus after leading the charge against some of the most helpless people in this world? No, they are not thinking about that. They are just thinking about not sharing the bounty they sincerely believe they have worked hard for with mostly Catholic immigrants, who have illegally entered this country—regardless of their reason being absolute desperation. Hey, these hard-core conservatives are the kind of people I grew up with, and I am not chunkin' rocks at just Southern Baptists, neither. For there are plenty of Methodists, Presbyterians, Lutherans, Pentecostals and even some Catholics involved. In all fairness, we most definitely need much better border security measures to guard against terrorism, drug trafficking and plain, old-fashioned smuggling, but who I am talking about here are desperate people just wanting to escape abject poverty and no hope of it ever getting any better in their places of birth. No, I do not want people coming in who do not really want to become Americans, but even the vast majority of those pose no threat to our American way of life. I do not mind some accommodations being made for those not growing up speaking English. For I am all too painfully aware of just how difficult the language can be to master—especially American English, with dozens of words meaning basically the same thing and/or something completely different, depending upon the context and/or correct spelling. For example: John loved going fishing in his Ranger bass boat when he was not out on tour, playing bass with his rock band. On the other hand, I do not think it is at all unreasonable for those wanting to actually live here to have to have at least a rudimentary grasp of the language to get along well. After all, I cannot imagine moving to France and fully enjoy living there without knowing more than a few words of French. All of the screaming about illegal aliens taking jobs away from good, tax-paying American citizens is pure nonsense. Do you want a seasonal job harvesting fruit and vegetables? How about working on the line in a chicken plant? Beef or pork processing, then? Oh, I forgot about lawn care and housecleaning. Now, those are jobs that many red-blooded Americans dream about having. Besides, how can anyone truly in their right-mind refuse to share what they can with the less fortunate? For they know full well that everything they have has been a gift from our Heavenly Father. Even the desire to work hard is a gift from Him. So, just how many self-proclaimed good Christians truly are in their right-mind? I know now that I was not until our Heavenly Father changed me, which did not happen until 29 years after I went forward to publicly accept salvation and be baptized. Even if you do not want to believe any of that, did you have a choice of where and when you were physically born into this world? Can you really afford to place all of your bets upon your ability to be successful at this supposed game of life, governed by the law of the jungle? What comes next? What if it is indeed true that many of those on top in this world will be on the bottom in the next? How can a few, very short years in this world compare with the whole of eternity? 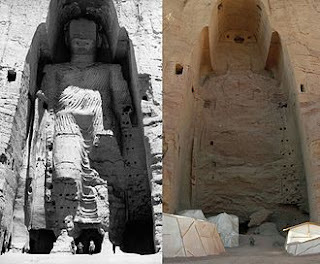 There was world-side outrage over the Taliban destroying two gigantic [Buddhist statues] that stood as significant pieces of the region's history and ancient culture. Aside from that, their artistic value was priceless. It was the same in regards to ISIS looting and destroying priceless artifacts of the ancient Assyrian Empire in [Iraq and Syria]. Yes, it is the way of this world that the victors reap the spoils and despoil the treasurers of the vanquished. Many Protestant churches were burned while the Catholics held power in Britain a few hundred years ago. The Protestants returned the favor when they came out on top. Does this make it right? Please understand that I am not a Klansman, Neo-Nazi or white supremacist in any way, shape or form. In fact, I despise everything those organizations stand for. Nonetheless, I think it is an absolute shame that unbridled political correctness is effecting the destruction of Confederate memorials in this country. What's next? Do we rename the United States military installations named for Confederate war heroes? [Fort Benning] in Georgia was named after Confederate Brig. General Henry Benning. [Fort Bragg] in North Carolina was named after Confederate General Braxton Bragg. [Fort Gordon] in Georgia was named after Confederate Lt. General John Brown Gordon. [Fort A.P. Hill] in Virginia was named after Confederate Lt. General A.P. Hill. [Fort Hood] in Texas was named after Confederate General John Bell Hood. [Fort Lee] in Virginia was named after Confederate General Robert E. Lee. [Fort Pickett] in Virginia was named after Confederate Major General George Pickett. 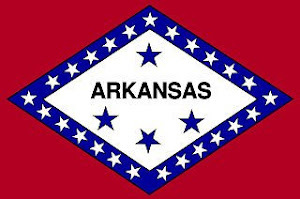 [Fort Polk] in Louisiana was named after Confederate Lt. General Leonidas Polk. [Fort rucker] in Alabama was named after Confederate Colonel Edmund Rucker. Should we level the Washington and Jefferson memorials in Washington, D.C. because they owned slaves? The White House was mostly built by slaves. So, it has to be razed—right? On the same note, how about doing away with the Ford Motor Company and all of its affiliates? After all, [Henry Ford] was right in there with Adolph Hitler when it came to antisemitism. Come to think of it, should not all traces of the Holocaust be completely removed because of how offensive they may be to some in one way or another if political correctness is to be followed wherever it may lead? Be assured that there is great wisdom in having vestiges of even some very dark times in full view of future generations in the hope that they are not repeated.